I am writing this immediately after finishing this book and there are tears in my eyes. Really, Fionnuala Kearney’s publishers should provide tissues because I think every one of her books has reduced me to a blubbering mess. At Last by Etta James has just come on the radio and when you have read the book you will know just what a strange coincidence that is too! 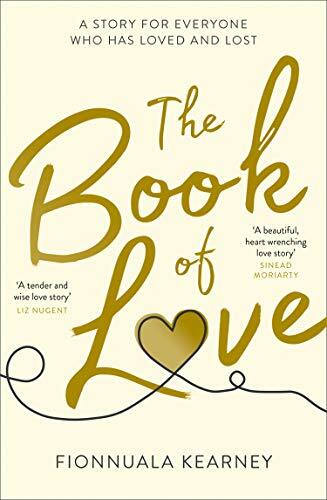 The Book of Love is the story of Erin and Dom’s life from when they first get married right up until – well, you’ll need to read it to see when it ends. One of their wedding gifts is a leather bound gift from Erin’s father, a book they call The Book of Love. They write in this book to communicate with each other when they have things they find it hard to talk about and they always end each entry with a reason why they love each other. Like any marriage, Erin and Dom’s has its ups and downs and they have perhaps more to deal with than many marriages. Through their letters in the book, we learn just what their life together has been, the highs and the lows. The author cleverly hints at something major which has happened causing a rift between Erin and her sister-in-law and I was stunned when all was finally revealed. There were so many times when this book emotionally moved me as I imagined how Erin or Dom was feeling. It was so easy to imagine their feelings as Fionnuala Kearnery writes so deftly and with such insight into her characters’ emotions. Erin and Dom were characters I took to my heart despite their flaws and they were certainly not perfect. The last line, was so beautiful and so perfect that I think it has broken me, yet simultaneously it was so uplifting. The Book of Love is a book I devoured in a couple of sittings and I savoured every beautiful word. Yes, even the ones which made me emotional. This is one of my top reads this year and I honestly think it is Fionnuala Kearney’s finest book yet. It is insightful, beautifully written and a heart-warming affirmation of love. As Dom would most certainly say, I loved this book mightily. From the moment they met, Erin and Dom loved each other too much, too quickly. Everyone said it wouldn’t last. But they knew differently. A wedding present, a notebook, brings them together through the good times and the bad. On the blank pages of their love story, they write down everything they can’t always say – the secrets, the heartbreak, the highs and lows. It’s where they see the best and worst of each other. I’m Fionnuala, pronounced FINOOLA, and am as Irish as the name hints at, though I live just outside London in Ascot. 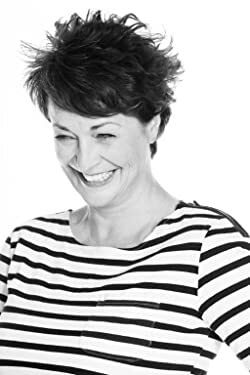 I write character driven novels where I love to poke about under the layers of relationships and see what’s really going on underneath… My debut novel, ‘You, Me and Other People’ was released in 2015 with my second ‘The Day I Lost You’ following in 2016. You’ll need it, I’m sure! Oh – you’ll need that waterproofing Anne! I agree Joanne. I loved EVERY word. One of my books of the year too. I don’t know how she does it. It’s such a wonderful book Jo. Are you resisting the temptation to buy the ebook? ?